You are here: Home / TBSC Spotlight / Our Santa Cruz Police Department – Happy Valentines Day! Our Santa Cruz Police Department – Happy Valentines Day! 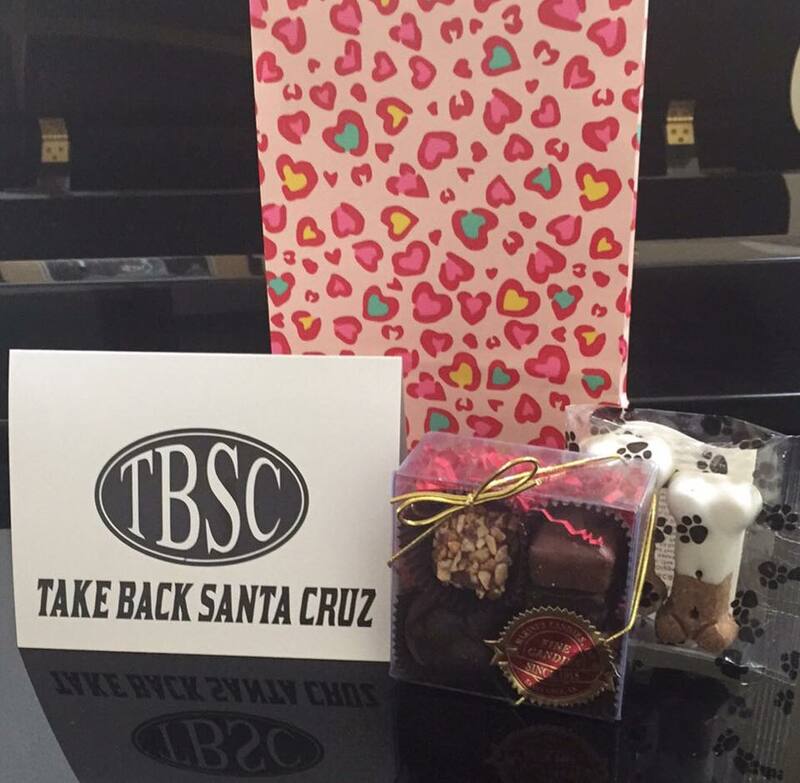 The Take Back Santa Cruz executive committee chose their valentines this year and it was unanimous. The men and women of the Santa Cruz police department. We appreciate and love all you do for us. We know you are always just one call away. You run toward what we flee. You reach out your hands to those of us that need assistance, no matter what that might be. Thank you and Happy Valentines Day from TBSC. We would like the thank long time local business Marini’s for their part in making this happen. You are the sweet part of our community. Please drop in and thank them at one of their many locations. The Wharf, Downtown and on Westside between New Leaf and Kelly’s.